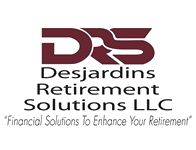 At Desjardins Retirement Solutions LLC, we strive to create a personalized financial roadmap that may guide you toward your desired destination. We seek to simplify complex financial terms and investment options, offer honest advice, and help you navigate the complexities of investing and financial strategies. In all we do, our goal is to humbly serve you by nurturing long-term relationships built on trust and performance.